So the honeymoon phase is over with your design business huh? A job where you work for yourself eventually becomes (gasp) a job. 1. You don’t feel creative anymore. One of the fastest ways to know you’re approaching business burnout is to take note of your creativity levels. Do you feel like you have enough time during the day to stay creative? Do you ever have projects that keep you up at night (in a good way) because you’re so excited about them? A few months ago, when I was feeling a little burned out as an entrepreneur, I noticed I’d walk past someone making art (shooting a video, taking photos, painting, playing music) and I’d get really jealous. That was when I realized I was beginning to feel burned out as an entrepreneur. If you feel like you’ve got no time for creativity after doing the bills, finding new clients, completing projects, and filing your contracts, then you’re on the verge of serious burn-out and should be seriously careful. Here’s what I recommend. First, set aside “creativity time” every day for yourself. It may be sad that it’s come to that, but if you never schedule it, you’ll likely never do it. There will always be something “more important” or more pressing. So schedule out “free time” where you can create anything you want. Then fill that time with work that makes you feel super-creative. Draw, paint, build a web site, write a song, invent a new business, do whatever makes you feel alive. You’ll realize how much you’ve missed creativity. And who knows, maybe something will come out of your “free time” that will change your business for the better as well. 2. Your customers annoy you more than usual. Look, we all know customers and clients can be a tad annoying from time to time. But when every single email, text, or phone call you get from a client sets you off, you know something’s wrong. After all, customers and clients literally pay your bills. And, more importantly, for a lonely solopreneur or freelancer, they may be your only business connection to real human beings. If you’re finding yourself annoyed more regularly with your customers or clients than usual, first, take a deep breath. Remember why you’re in business, how much you enjoy helping people solve problems with your products or services, and remind yourself how important customers and clients are to your success. Next, if necessary, try unplugging more often (I regularly turn my phone off for hours at a time–it’s heavenly), set rules with your clients (after 6PM I’m “closed”), or simply set more rules for yourself (I will not speak rudely about my clients behind their back). It might also help to stop reading those stupid “clients from hell” kinds of sites. They’re a waste of your time. Find something better to do. 3. You push the snooze button more often than usual. This seems silly, I know, but have you noticed when you’re less motivated than usual you tend to sleep in more? When I’ve got projects I’m excited about, that moment comes in the morning when the sun peeks through the blinds and my mind is already reeling, getting ready for the day. If you find yourself less likely to pop out of the bed in the morning, maybe you’re approaching business burnout. First of all, get the rest you need and treat your body kindly. Sometimes your body just naturally needs more sleep no matter how excited you are for the work ahead of you. But if you’re eating right, exercising, and sleeping right but still can’t stand to get out of bed for 7 more minutes, you’re likely demotivated. So find something that will motivate you. I used to send my email newsletter in the hours right before I woke up because it was fun to wake up and see how many people were on my site in real-time. I’ve since grown out of that, but it offered something fun for me to look forward to in the morning. You can also try setting specific tasks and goals the night before in order to know exactly what to look forward to the next day or doing your most creative and fun projects first thing in the morning. 4. You’re not motivated by things that used to excite you. Speaking of motivation, if you’re approaching business burnout, you probably notice you don’t get excited about the work as often as you used to. You used to get psyched at looking for new clients because you loved the rush of landing the next big client. You used to love designing logos or building web sites because you loved digging into the audience’s mind and fulfilling their needs. Goals and plans used to get you so excited. Now they’re bland and painful to you. Any kind of work is drudgery. You consider taking a cubicle job again. And you ask yourself if it’s really worth it anymore. First, ask yourself if you’re in the right career path. I don’t mean (if you’re working at an office) are you working for the right company. I mean, if you keep on the path you’re following now for the next five years, will you be happy? Will you be the kind of entrepreneur and person you want to be? If the answer to that question is “yes,” then stay right where you are. You’re just in a rough patch. To find motivation again, try setting new kinds of goals or rewarding yourself in a new way for goals reached. If your goals have been focused on finding new clients, try setting new goals around revenue. Or try using a revenue goal to motivate you toward that new computer you’ve been wanting. 5. You get overwhelmed when you think about growth. Motivating yourself about growth, though, isn’t always easy. When you’re coming up on business burnout, the last thing you want to think about is growing because a bigger business (at least in your burned-out brain) just means more stress, more work, and less of the lifestyle you’ve been working hard to build for yourself. If you’re overwhelmed when you think about growing your business, you might be approaching business burnout. First of all, remember that growth isn’t the end-all, be-all of having your own business. Sometimes simply maintaining is great. Most people dream of having a business they can simply maintain from day-to-day, so if you’ve already got that going for you, you’re ahead of the game. Don’t stress yourself out by thinking you always have to be getting bigger and bigger. Having a healthy business that doesn’t decline in sales month over month is perfectly admirable–especially when it affords you the life you’d like to live. Secondly, if you do want to keep growing instead of just maintaining your business, start small. Take baby steps toward bigger growth goals, break down huge projects into smaller tasks, and take it one step at a time. Once you see yourself having small successes, you’ll be more motivated to work toward bigger and bigger ones. From there, it’s a positive spiral toward finding your motivation again. Another way to know you’re feeling some business burnout is you find yourself daydreaming about the day “when” without making any real plans or progress toward it. You’re sure you’ll be happier “when” you land your next big client. You’ll be happier “when” you reach five figures in a month. You’ll be happier “when” you can upgrade to the latest Creative Suite software or buy a new computer. The problem with dreaming about “when” is you’re always chasing a carrot–which may or may not ever be attainable. There’s nothing wrong with setting goals, thinking big and going for the gold. But if you find yourself using “when” as an excuse for why you’re not happy now, you’ll soon find there’s always another “when” waiting for you at each stage. First, find ways to be happy with what you’ve got now. Express gratitude for people (especially family, friends and even your clients). Force yourself to smile if all else fails, but find a way to feel more happy. You can also turn your tendency to think about the day “when” into a real motivating factor in your business by setting real goals around milestones you want to achieve. 7.You don’t like talking to people about your business. Last but not least, one of the most obvious signs that an entrepreneur is approaching business burnout is when they stop enjoying comversations with people about their business. Remember when you started building your business or working for yourself and you got so excited about what you were working on? You could go on for hours about the projects you were working on, how you were building your business, and all the amazing plans you had. But now, you hate talking about it. It brings up bad memories and just puts you in a bad mood. So how to fix it? First, follow the advice found further up in this article. Make sure that you’re moving in the direction you want to be moving in. Make sure you’re working in the field you’re excited to be in and that you’re serving the right kind of audience (customers). If that’s not the problem, maybe you need some fresh material. Even the best presentations or jokes get old after a while. Try it with a new spin. Try not to talk too much about all the things that frustrate you. Instead talk about all the opportunities that working for yourself provides you with. Try out new titles (if you’ve been calling yourself a designer, try creative director, owner, founder, or the like) and see if that makes it more fun to talk about what you do. These are all fairly simple when you really stop and think about them. The problem is, when you’re approaching (or already consumed in) business burnout you aren’t thinking clearly. Sometimes all you can see or think about is the bad. Hopefully, if you’re past the point already, this post will help you see the light at the end of the business burnout tunnel. There is hope. You can do it. Just keep pushing. 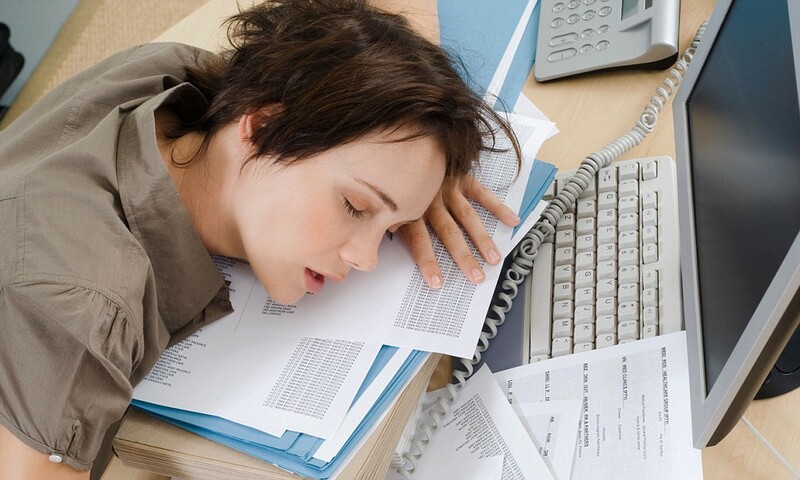 What are the signs of business burnout? Have I left anything important out of this list? Leave a comment on this post and let me know what’s missing. The floor is yours. Glad it helped a bit, Amina! Best of luck in all. Great article! It’s tough to admit these things could be happening. After all, why did we decide to go into freelance in the first place? Thanks for sharing. My entrepenuer designer daughter put me onto Millo!! I run a 10 room B&B on our farm. This article is such an accurate description of where I am at in my life and work. Thank you!!! Spot on and so helpful! Spot on, indeed! Thanks for practical tips! Just what I needed, Preston. Thanks!